Fall is officially here, and winter isn’t far behind, which only means one thing – it’s time get those blankets out! But what does this mean in term of home decor? What are the trendy colors, textures, and fabrics this winter? Read on to find out how warm hues, wooden features, and velvety fabrics can enhance your interior this fall. Red and orange are the two fall/winter classic colors that are simply a must. However, what many people don’t realize is that there are other nuances that can make these two pop. Namely, grey, black, and deep chestnut brown are hues that allow reds and oranges to come to life in a whole new way. In practical terms, this means you can combine various table decor like vases for candles using all these fall colors to get that glamorous fall atmosphere at home. The same goes for carpets and drapes, as well as furniture if you’re thinking about repainting a few pieces. Wood has a natural warmth to it, especially darker hues of wood. If you’re thinking about replacing plastic or glass furniture this fall or winter, consider wooden additions in their place. Wood is just as durable as glass and goes practically with any color. 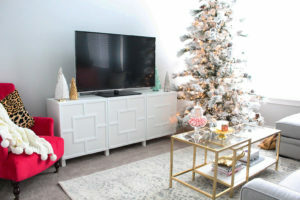 One major trend for this and next year is to use recycled furniture, which means you don’t have to buy brand new pieces if you have an old gem laying around the house. 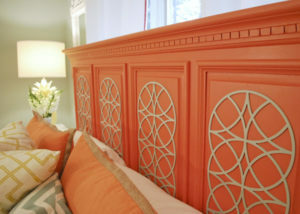 All you have to do is sand it well, and use the proper lacquer if you want to keep its original pattern and shade; or you could repaint it with the color of your choice. Whatever you choose however, always make sure you stay safe during these upgrade projects, as some of the tools can be hard to work with. Pillows, as you may know, come in all shapes and sizes. 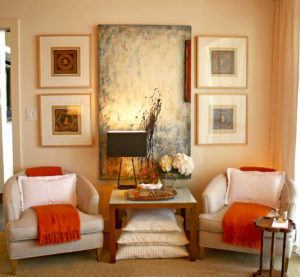 For the cooler months, adding oversized soft pillows is one of the best decor moves you can make. When it comes to color, don’t be afraid to go with something unique, like deep navy blue, or teal; and of course, don’t forget complementary colors like cocoa or terracotta. As far as texture goes, indulge in fabrics like velvet or even silk, as they add extra comfort and even glamour to the the overall ambiance. 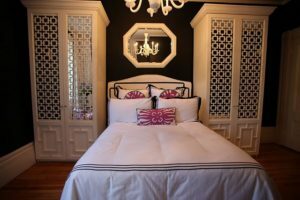 Adding extra curtain and rugs isn’t simply an aesthetic move, but it’s also a very practical one as they actually help retain heat during the colder months. The most popular winter fabrics for curtains include the elegant velvet and chenille. When it comes to rugs, you can be more flexible and add any texture that feels warm and fuzzy. As far as color goes, you’ll want the rug and curtains to match to a certain degree – in other words, they don’t have to be exactly the same color, but make sure you coordinate wisely. Making your home nice and cozy during the cold months isn’t that hard. All you need is a little time and dedication, and you’ll have the most welcoming winter sanctuary in no time.